We are currently working on a project to identify the convicts who came through the Port Arthur penal settlement, as not every convict who came to Van Diemen’s Land (Tasmania) came here. To produce a more accurate figure, every conduct record in existence for Van Diemen’s Land (more than 75,000) must be read and recorded. The records are held under the custodianship of the Archives Office of Tasmania. Records of those who came to Port Arthur include details such as their original trial place, transportation offence and sentence, place of origin, age on arrival, trade, offences committed after arrival in the colony, locations they were at and freedoms gained. These details are now being entered into a database. The database does not solely consist of the details of male convicts. Female convicts were also at Port Arthur as assigned servants, but not under secondary sentence as were the men. Those who arrived free, as well as others with some association with Port Arthur, will also be included in the database. We are also identifying those convicts who spent time at other stations on the Tasman Peninsula. The database is not yet complete, but limited fields can be searched by the public at two computer terminals located in the Convict Study Centre in the Asylum. If you are seeking further information on convict ancestors, see the Convict Enquiry Service. Visitor access to the Isle of the Dead has for many years involved a large number of steps and graded pedestrian routes. The pathways are poorly marked and contained, limiting the ability to manage visitor impacts on unmarked graves and vegetation. 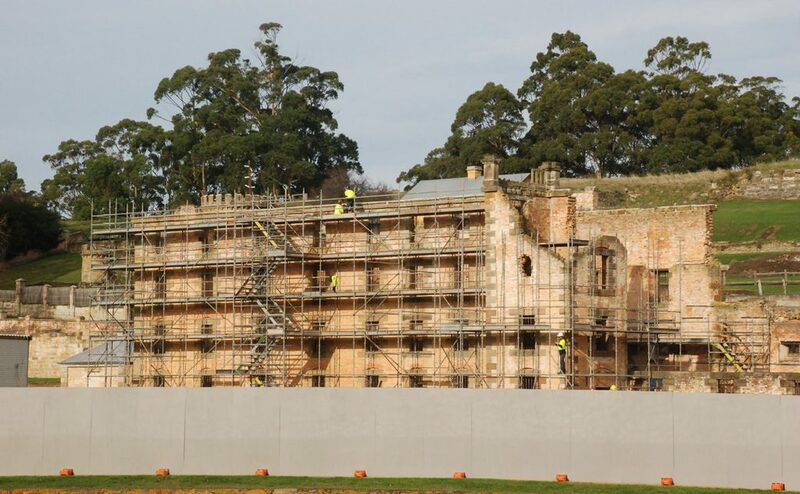 The Port Arthur Historic Site Management Authority (PAHSMA) is constructing new walkways on the Isle of the Dead. 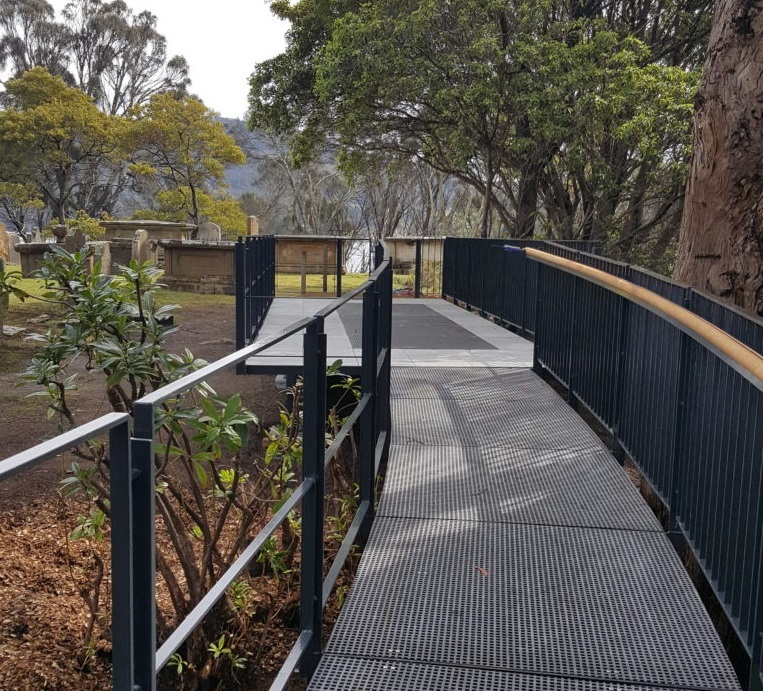 The walkways are designed to substantially improve access for visitors to the Isle and will provide a route that will reduce the potential for visitors to be traversing unmarked convict graves. Apart from a conservation perspective, we are aware that many visitors are uncomfortable with the notion of walking over graves. New viewing platforms at key locations will provide better opportunities for guides to interpret important features of the Isle. The project is being undertaken in four stages. The first stage was completed in September 2017 and the second stage in September 2018. Funding from the Commonwealth Government’s Protecting National Historic Sites program assisted in the design of this project and the construction of Stage 1. The next two stages will be rolled out in the following two years. 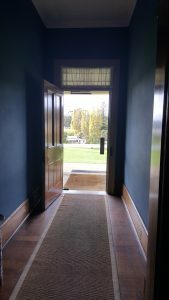 PAHSMA has installed new frame less glass climate control doors at three of our house museum, the Commandant’s House, the Junior Medical Officer’s House and Trentham. 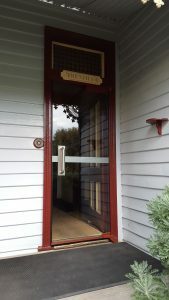 These have replaced aluminium framed doors that frequently blew open in strong winds and did not achieve their function of protecting the interior environment of the houses from bad weather. The new doors have been installed to ensure that they close quietly behind visitors and are less likely to be propped open by staff. As frame less glass doors, they have minimal visual impacts on the appearance of the buildings. Seals around the frames of the doors help to control the internal environment of the house museums and so retard the deterioration of the significant internal fabric and contents. The Port Arthur Historic Site is one of the most visited tourist attractions in Tasmania and is often a visitor’s first introduction to Australia’s convict heritage. As such PAHSMA has a significant role to play in introducing both domestic and international visitors to this important part of the Australian story and cultural landscape. 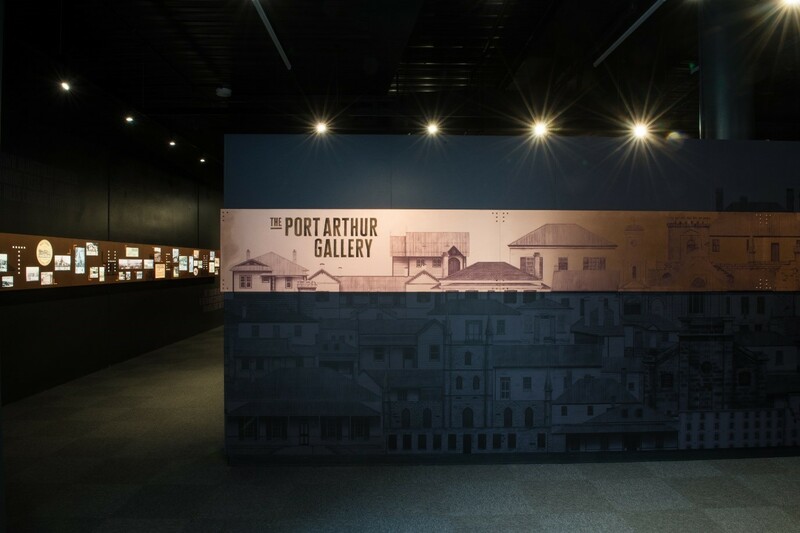 In 2015 PAHSMA embarked on a large-scale project to redevelop the Port Arthur Visitor Centre. This was a response to demands on the building during peak visitation periods exceeding the capacity of the internal planning arrangements. It is the gateway and entrance to the Site and the commencement point for personalised visitor engagement with interpretive themes and experiences. These themes have been used to support a ‘zone’ approach to the Gallery and also provide opportunities for layering and integrating content across the gallery and the Visitor Centre as a whole, providing audiences with a sense of seamlessness. They are delivered through direct messages and also presented implicitly through objects, images, film, and hands-on activities. 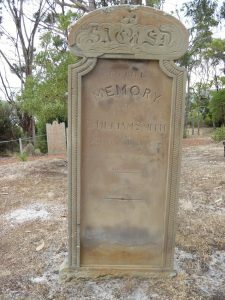 In particular, we have been able to include the stories of the local community and the tragic events of 1996 and to better introduce our visitors to the Australian Convict Sites World Heritage Property. The Port Arthur Gallery redevelopment cost $855,000.00. 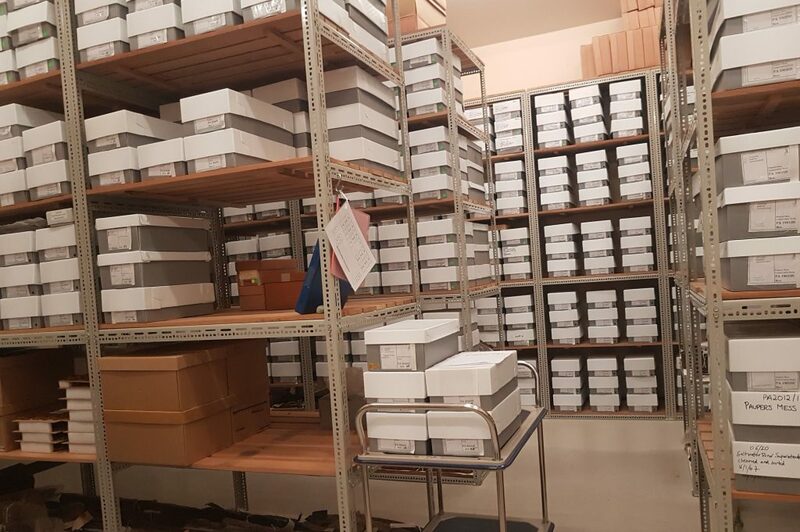 Policy relating to PAHSMA collection holdings is currently shared between the Collection and Archaeology Plans. Neither plan, however, provides an adequate management framework for PAHSMA’s Archaeology Collection. This project advocates the integration of long-term management for all PAHSMA’s collection holdings under a consolidated Collection Plan in order to ensure appropriate and consistent treatment of the material. To date, the project has seen a complete reassessment of the archaeological artefact holdings, the development of an integrated database and archiving system for archaeological data, the re-boxing of all archaeological artefacts, rehousing of fabric and documentary items, and large-scale digitisation of photographic resources and collection items. 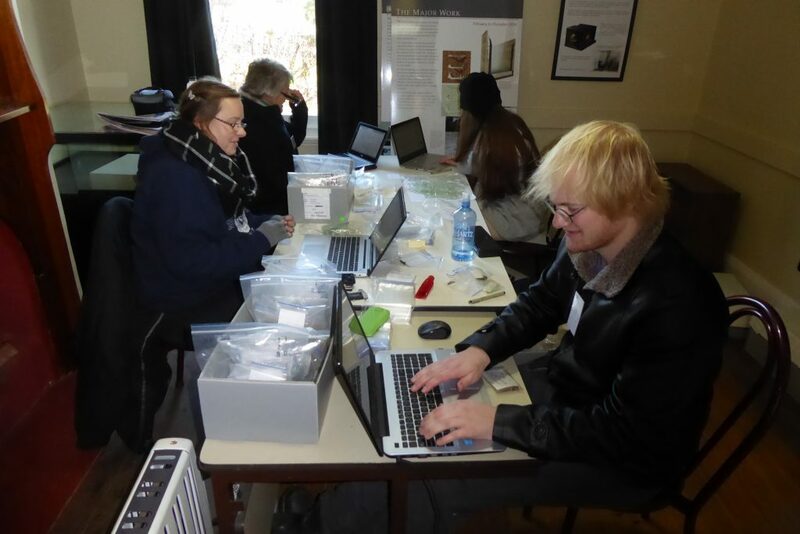 The project has also supported research by Caiti Dircks and Chloe Hamilton on the material recovered from excavations in 1977 at the First Prisoners’ Barracks at Port Arthur; Jen Jones’ study of the material culture of tourism at Port Arthur; Jane Rooke’s consideration of material from the Cascades Probation Station at Koonya and a re-evaluation of the sequences from the Clerk of Works house by Leah Byrne. The project cost is estimated to be at $100,000.00. 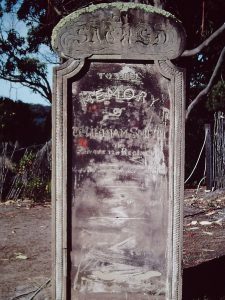 Delamination of the inscription surface due to wetting and drying cycles. Granular disaggregation of the surfaces around the delaminations and across the surfaces in general. Visitor impact due to touching of fragile surfaces. Since the 1990 survey, conservation treatments have been implemented to address these modes of decay and have been aimed at stabilising the stone. The removal of Portland cement is being carried out incrementally in order to assess the effectiveness of treatments and to ensure that no subsequent deterioration is being caused by the removal. Consolidation treatments to mitigate against granular disaggregation have been monitored and reapplied over time to obtain the best outcomes. To monitor the efficacy of the treatments and check on the need for further treatments, condition surveys have been undertaken since 2006, the most recent being completed in 2016. The next condition survey and round of conservation treatments is scheduled for early 2019. Monuments were laser scanned in 2013 providing us with another tool that will enable us to identify deterioration and movement. 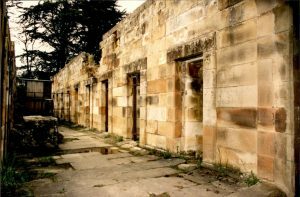 The Separate Prison is one of the most significant buildings onsite and indeed in the Australian convict story. Like many of Port Arthur’s buildings, it has suffered the effects of time, weather and human interference (including a plan to turn it into a hotel). An extensive program of conservation and interpretation works was designed to vastly improve visitor experience and to ensure that the building and the heritage that it enshrines will stand for many more years. The conservation works removed poor-quality reconstructions and inappropriate building materials, such as concrete that was used in the 1960s-70s. All original material was retained and conserved. The original roof form – twin gables – was reinstated over ‘A’ Wing. Skylights and new ceiling were reinstated in ‘C’ Wing. Internally, the building now presents in a manner that is historically accurate. However, PAHSMA has retained the valuable contrast of evidence that shows an important part of the history of the building – its decline through fire and abandonment – which is clearly evident in ‘B’ Wing. 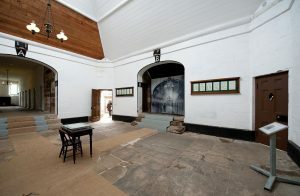 The aim was to create a sensory environment in which the Separate Prison building is given life and through it, visitors are exposed to what the people who were imprisoned here or worked here experienced. Through re-introducing the sights and sounds of the Separate Prison, the team hope to immerse the visitor in a new kind of experience of this extraordinary building, its stories, and its people. PAHSMA has recreated some sense of containment, of confinement and of isolation and intimidation, as well as reintroducing some of the people associated with the system and place. As with all PAHSMA projects a number of additional smaller projects were identified and over last year and this year are adding some finishing touches to B Wing. A visitor can now view the extent of B Wing from the central hub through an installed glass panel that includes an etched copy of the same view that would have been seen from 1852-1877. The Conservation team are currently working on a project to replace the gate at the end of the wing and include more interpretation in the outdoor exercise yard. Following a major storm in 2011, PAHSMA undertook a structural assessment of the Penitentiary that indicated that the support framework, installed in the late 1970s, urgently needed replacing. Engineering reports showed the brick walls needing structural stabilisation, setting the stage for the large-scale conservation project. Having lost the majority of its internal timber framework over 100 years ago, the structure was vulnerable to the environment – including high winds, earth tremors and wave impact from the adjacent sea – an engineered solution was designed to combat all these potential threats. PAHSMA’s conservation works involved a series of large steel columns, levered off reinforced concrete strip footings underground. The columns were fixed to the wall using a steel bridge with anchor points (just like gecko toes). These are adjustable to allow the anchor points to avoid fragile areas of the brickwork. The building was strengthened by inserting concealed strengthening rods down through the walls, secured by a specialised grout. Combined with a steel top plate, these additions add strength to the higher sections of the wall, which were most vulnerable to collapse. And then 5 kilometres of helibar reinforcement was added, this was inserted into the grout of the Penitentiary. With significant ground disturbance required to allow for the footings of new stabilising columns, we saw an extraordinary opportunity to combine both mitigation and research needs and undertook a program of archaeological excavation. The excavation provided us with a better understanding of the conversion of the granary into the Penitentiary and we were excited to find not only evidence of the water-wheel pit but also the remains of workshops built on the site before the granary and flour mill were constructed. The Precinct Conservation Project was a $7.3 million project.